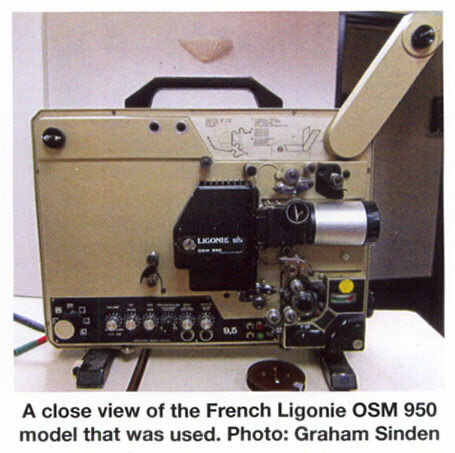 In fact it was the Dutch 9.5mm Cine Club (at that time - Nederland 9.5 Federation) who organised the first '9.5 International' - just for the one day on 24th April 1976; so it seemed rather appropriate that the Dutch club - now 'Cine 9.5 Nederland' should organise the 40th 9.5 International Festival in 2015. The event was held in the Dutch town of Valkenburg, situated not far from Maastricht, quite close to the German border. The Festival ran from Thursday 4th to Sunday 7th June inclusive. 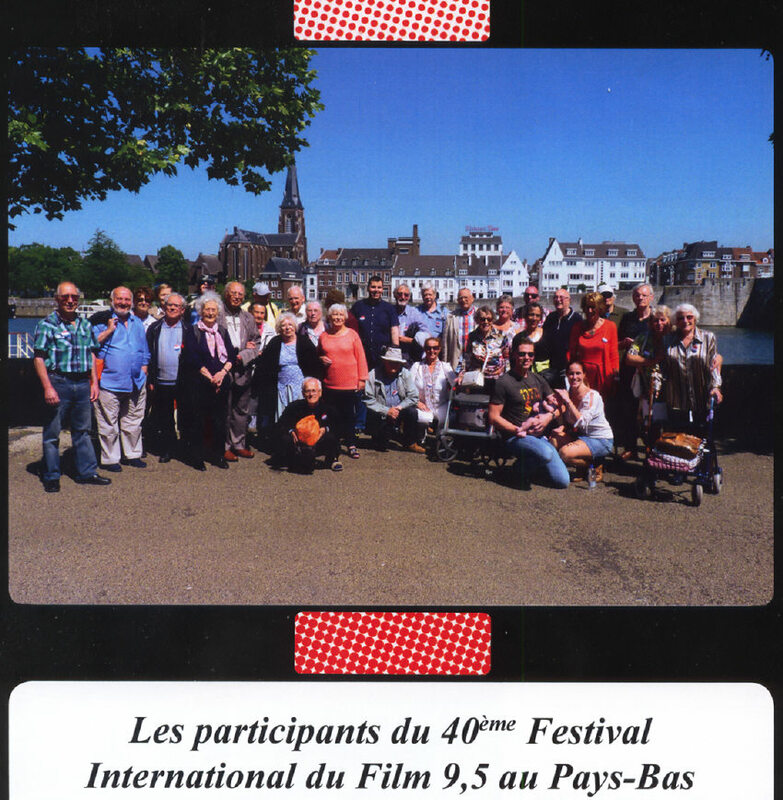 The Festival was attended by 38 people, 12 from the UK with others split between French, German and Dutch. Valkenburg it essentially a tourist town and was blessed with warm and sunny weather throughout the event. The town is picturesque with its rivers, many hotels and eating establishments. Everywhere is noticeably very clean withno dropped litter anywhere. The hotel Wagram, close to the centre of the town, was very comfortable with good food and friendly service. Thursday is basically the welcoming day and all were given an inscribed and corded weatherproof bag which contained a set of pens, some chocolates, a 9.5 badge and wine glass suitably inscribed with details of the event. 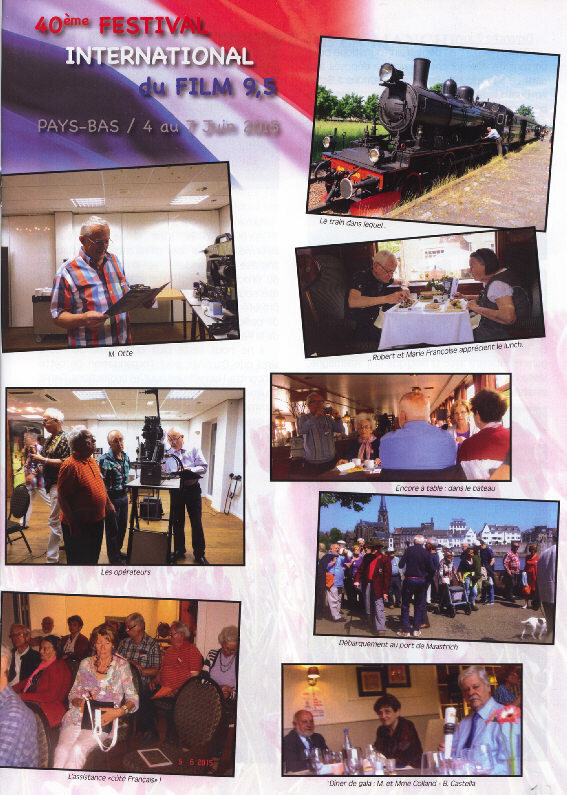 During the Festival, a number of visits were arranged including a tourist train ride around the town including a visit to the local mine, a steam train excursion and a boat cruise on the river Meuse. There was time for strolls around the town and the purchase of souvenirs. Meals were taken on the boat cruise and at the hotel including the regular formal dinner with speechs, the awards and plenty of liquid refreshments! 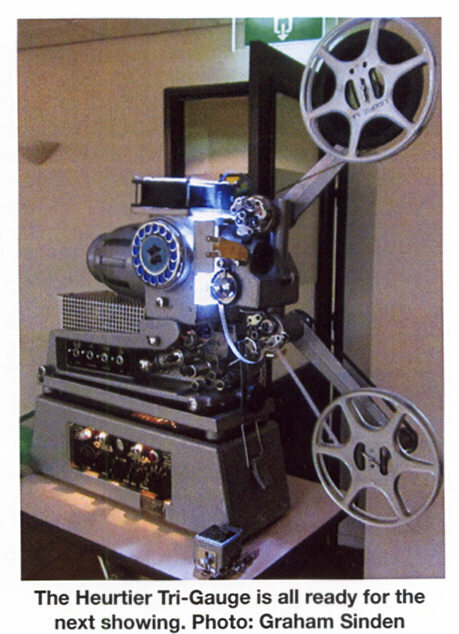 The last film shown was from Wolf Otte and shot in the widescreen format, a 'scope lens being used on the projector. This was about the eruption of a volcano, but perhaps overlong. "Mes Amis Les Cygnes" ("My Friends the Swans") from M. Boucher was well photographed with tranquil scenes of swans and their antics in various settings showing rivers and lakes in attractive locations. At just 7 minutes it was about right. It was good to have a couple of newcomers from the UK entering films. 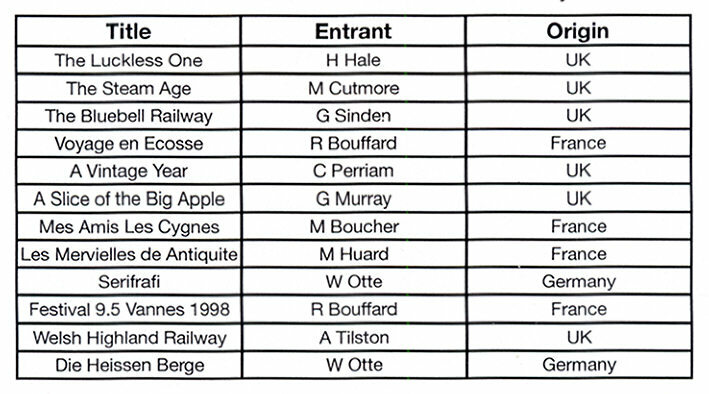 Group 9.5 Chairman Cliff Perriam with "A Vintage Year" and new committee member Graham Sinden with "The Bluebell Railway". Both were transport oriented with good clear images and not overlong at 5 and 7 minutes each. All films were in the documentary / interest category with the exception of Hugh Hale's "The Luckless One" about a chap where nothing goes right until the final scene. This dated from the1970s and ran for just 5 minutes, all that was needed. Judging was voting by the audience, and the winner, announced after the dinner on the Saturday night was "A Slice Of the Big Apple" from our UK Group 9.5 ex. chairman Graham Murray. A well shot film about their trip to New York. His award, a suitably engraved large glass jug was presented by Dutch Club President Rene de Marr.